1987 911 Carrera G50 in Indischrot Red over Black leather. All original and only 132k miles. 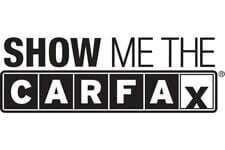 Clean Carfax and Service Records. This 3 owner 1987 Porsche 911 Carrera Coupe is finished in Indischrot Red over Black leather and shows 132,229 miles. The car was purchased new in Buffalo NY where it resided until 1992. It's second owner moved the car to North Carolina and maintained ownership for over 13 years and 60k miles before selling it to family friend who was also in NC. The last owner has added just over 25,000 miles in 13 years. Only using the car for the occasinal drive and always guarage kept. This is a great example of a rare G50 model 911 that has been extremely well taken care of and kept all original. A detail service was completed in November that include an oil change, replacemnet air & fuel filters, A/C service, belts, and new hood & deck shocks. Power comes from a numbers-matching 3.2-liter flat-six paired with a G50 5-speed transaxle. Factory options include an electric sliding sunroof, cruise control, locking differential, sport shock absorbers, and 16" Fuchs forged alloy wheels.This 3.2 Carrera is now being offered with its original owners manual, spare key, a binder with service records dating back to 1996, original tool kit, spare tire, factory jack, a clean Carfax, and a clear title. In preperation for the sale, the car received a professional glass out respray of the front bumper, hood, passenger fender, pasaner door, and side-view mirrors to correct all rock chips, scratches, and dings. All other panels are original paint retain a glorious high shine comparable to the new paint. A thorough visual inspection of the car shows no signs of rust or any signicant blemishes anywhere on this vehicle. All the rubbers and weatherstripping are in excellent condition showing very little wear, and all the glass around the car is free of scratches or chips. This Carrera is equipped with factory-optional 16" Fuchs forged alloy wheels. All of the wheels are in very good condition. Each corner is detailed up-close in the gallery, and a walk-around video is shown below. The all black interior is in near pristine condition . All the seats are original and show very well. The dash has no crack, fading, scratches, or rips. The carpet is original and in good condition, only carpet wear that can be found is in the driver's side dead pedal area. All electrical items are fully functional including the sunroof, windows, locks, wipers, power mirrors, power locks, windshield washer, turn signal, headlights, dome lights and climate controls. All gauges are functioning and all gauge lenses are clear of fog and imperfections. The factory radio has been replaced with a Pioneer radio. The Carfax report shows no accidents or other damage are recorded and consistent odometer readings are shown throughout the life of the vehicle.